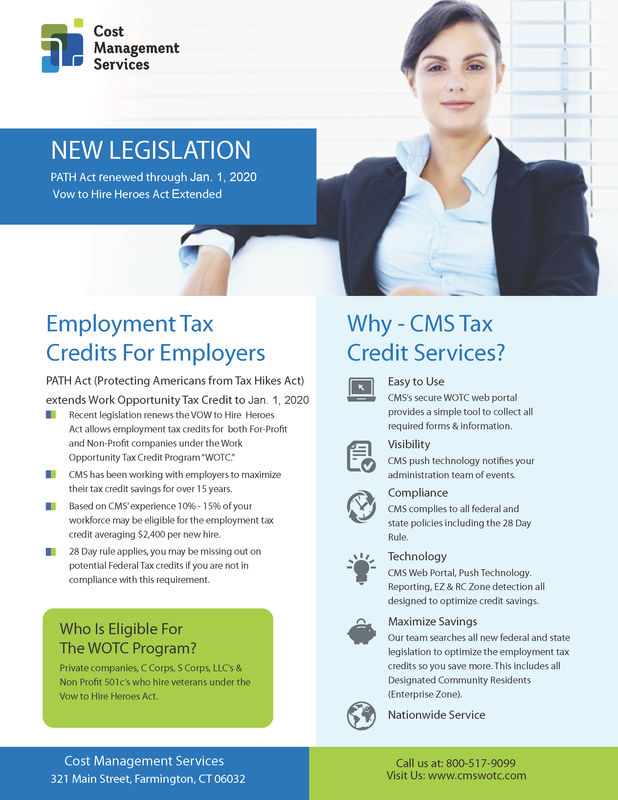 CMS Says: Most for-profit (taxable) employers are eligible for WOTC. The average tax credit can vary between $1,200 – $9,600. Approximately 10-15% of new hires may be eligible. This depends on your location, and the type of employees you hire. Non Profits: Qualified tax-exempt organizations described in IRC Section 501(c) and exempt from taxation under IRC Section 501(a), may claim the credit for qualified veterans who begin work on or after December 31, 2014, and before January 1, 2020.